← Pink Door Card for A Jillian Vance Design Guest Designer! Hello! Today I have the privilege of blog hopping with Whiff of Joy! I stamped the stacks twice for each image, then colored the book covers with colors that reminded me of old leather-bound books. I used Thin 3D Foam Squares, and 3D Foam Squares (regular thickness) on every other stack, to give them dimension. These are the blogs hopping with me today! Stephanie will randomly select a winner to receive one of the paper art stamp collection stamps. Leave a comment here, and each of the listed blogs and let us know how you like the projects. Stephanie will pick randomly one lucky winner. You have time to comment till October 8th, 2013 – midnight EST. This entry was posted in Card, SCRAPBOOK ADHESIVES BY 3L, Uncategorized and tagged Anke Kramer, blog hop, Card, Fancy Pants Designs, Katharine Frei, Nathalie Kalback, Stephanie Schutze, Tanya Batrak, Viktoria Klabukova, Whiff of Joy. Bookmark the permalink. 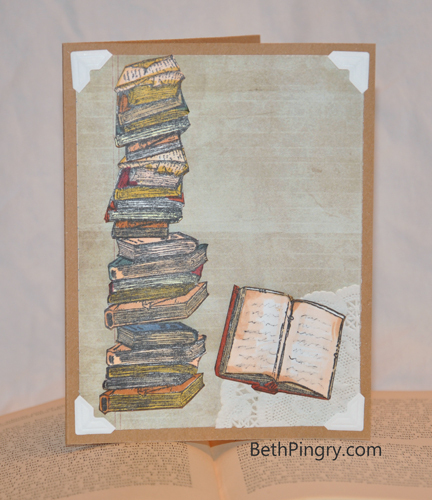 I am an avid reader, so I love the stamp set and your little card…so cute! Thanks for the opportunity to see your blog and a chance to win! is an amazing card, the colors are fantastic, is a beautiful inspiration! I love how you stacked up the books. Oh thats terrific! With Librarians in my family, how fun is this? Love how you stacked them, what a great idea! Loving these stamps! Thanks for sharing and a chance to win! Wow! In a vieuw word’s: amazing! As i like both reading and writing and also drawing and painting, this stamp would exactly fit in my collection. 🙂 I realy like what you did with it. This is just amazing! Love seeing these stamps used! totally Love these new stamps and love what you have done..simple beauty! tfs! Really like how you stacked the stamps. 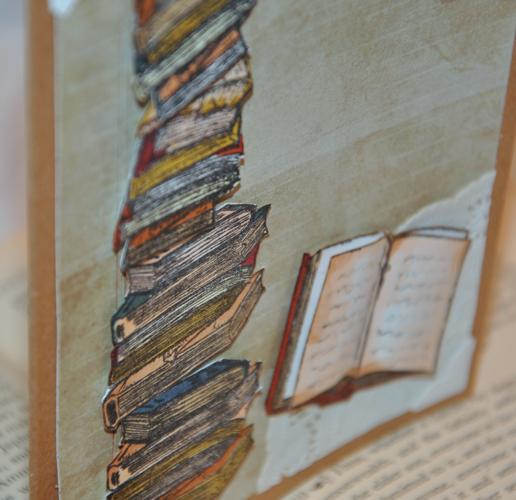 This card reminded me of an Aunt who stacked books rather than put them on shelves. Thank you. Very creative use of stamps. Like how you added demension with the foam. Great that yu are fussy because the results are perfect. Happy I visited your blog. Thanks! Love the gigantic stack o’ books!!! Wonderful. What a great idea to “stack” the books. I love the how you have coloured them. Thanks for the inspiration. Very simple and wonderful card! Great way to use the book stamps. Amazing how the stamp art work comes to life! Love them. I really love those stamps Being a paper craft lover, those stampsa re perfect for any project. WOW! I really like the stamps, being a book paper and craft lover! Love the card and that you used the Copics! Thanks for sharing your artwork! Loved the old look of the books and how you stacked them! thank you for participating in this hop! Very cool card- love it! I have a Librarian friend who would love this – great detail like always! Thanks for sharing! I loved how you stacked the books. Thanks for the chance to win a set of these smart stamps. A super great card and the 3D effects again more of a looker. Красиво!! Желаю удачи и творческого вдохновения!! !